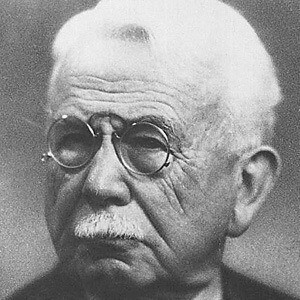 A late 19th and early 20th-century author and journalist, he was instrumental in the development of Luxembourg's national identity. His popular Luxembourgish-language works include "Dem Jabbo seng Kap" (a poem) and Fenn Kass, Roman eines Erlösten (a novel). He attended the German universities of Bonn and Berlin, where he studied philology and theater. He held a civil service position before working as a journalist, editor, poet, and novelist. He was the son of a schoolmaster and grew up near the River Moselle in the town of Stadtbredimus. He was born in the same year as Russian playwright Anton Chekhov.